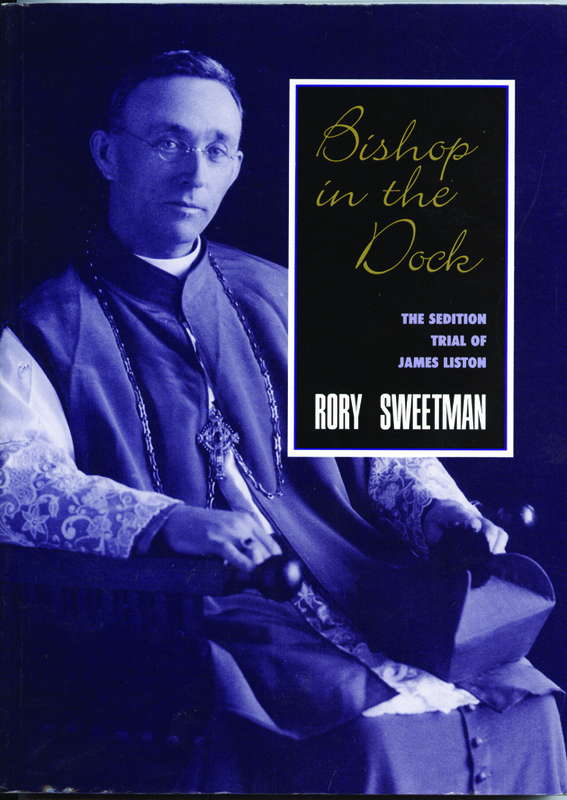 Bishop in the Dock tells the story, Bishop James Liston, the first Catholic Bishop in the British Empire to be tried for his political opinions, and brings to light the sectarian dimension of New Zealand’s past. Drawing on previously unexplored sources, the author presents a picture of a Catholic community wrestling with its troubled Irish heritage, and with issues of assimilation and identity in the hysterically pro-British atmosphere of 1920s New Zealand. Bishop James Liston’s speech to his Auckland flock on St Patrick’s Day 1922, attempting to reassure them about recent events in Ireland was greeted with fervent applause from his largely Irish-Catholic audience. However, the New Zealand Herald’s report of the event, which had Liston sneering at the British Empire, praising dead Irish rebels, and describing Crown forces as ‘foreign murderers’ caused a furore. Liston was charged with making a seditious utterance, becoming the first Catholic Bishop in the British Empire to be tried for his political opinions. Bishop in the Dock tells the story of this explosive episode and brings to light the sectarian dimension of New Zealand’s past. Drawing on previously unexplored sources, the author presents a picture of a Catholic community wrestling with its troubled Irish heritage, and with issues of assimilation and identity in the hysterically pro-British atmosphere of 1920s New Zealand. Dr Rory Sweetman teaches Irish history at the University of Otago, Dunedin, New Zealand. Bishop in the Dark was the winner of the 1995 Keith Sinclair History Prize.